Zulu war medal to a Drummer, with the 1879 Bar. 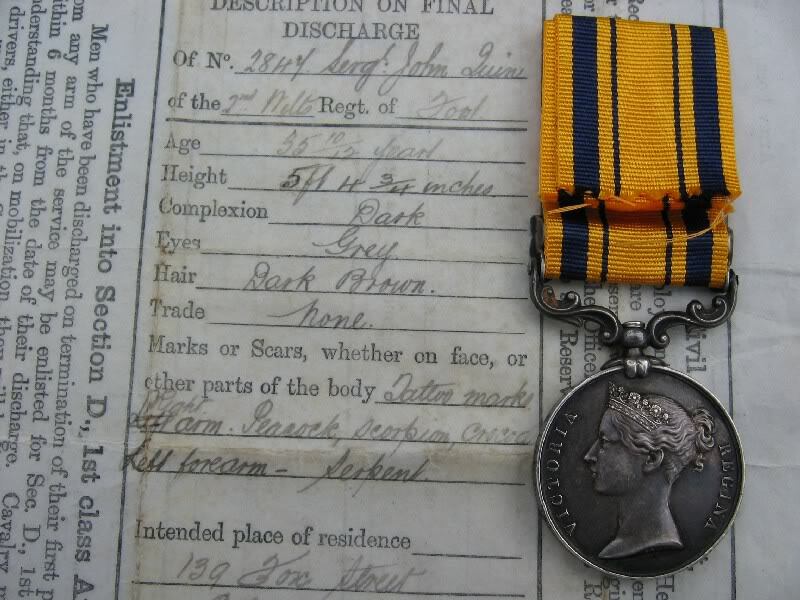 Awarded to "1894 Drumr J Quinn 99th Foot" The medal is complete with some original documents. An original Parchment Certificate of Character on discharge, together with the B128 Parchment Certificate, letter from the Wiltshire old comrades association, and "A Soldiers Farewell" typed document reporting on his retirement dinner after 21 years of service. In all a very nice medal with some original documents.